Two Tasmanian jewellery designers are the recipients of bursaries from the FIND Contemporary Jewellery Collective, which supports Tasmania’s growing contemporary jewellery sector. Recently, Bella Dower was announced the inaugural recipient of the FIND Contemporary Jewellery Collective Bursary. This is the first time the FIND Contemporary Jewellery Collective has partnered with the Tasmanian Government through Arts Tasmania to offer the bursary, which provides $1,000 to an emerging or mid-career Tasmanian contemporary jeweller. The successful recipient may use the funds to build their business through purchasing equipment or materials to support their work, to participate in masterclasses, or towards marketing their work. Ms Dower will use the support to purchase a new torch and a small handheld drill to expand her toolkit, assisting her to develop her own sustainable practice, and create a range of elegant and considered contemporary jewellery. 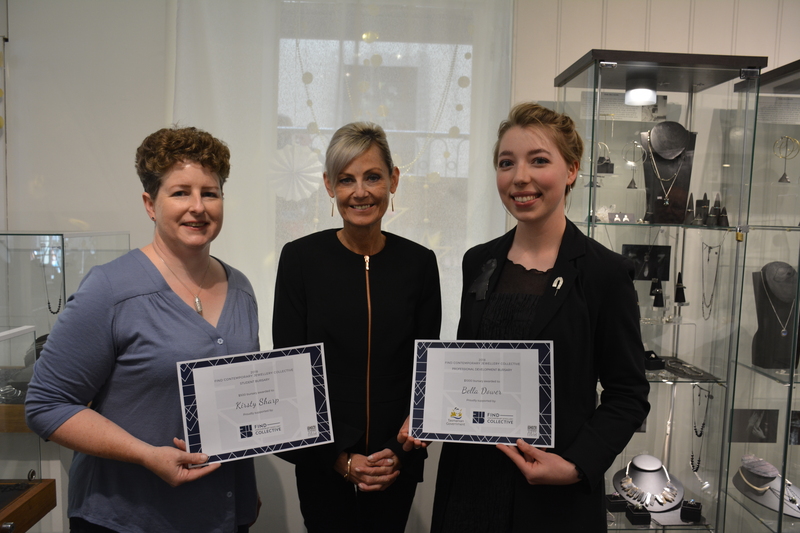 Emerging jeweller, Kristy Sharp was presented with a $500 FIND Student Bursary, which is offered in full by FIND to assist new jewellers to establish themselves in the industry. The two bursaries aim to nurture talent in the creative industries, which is a shared goal of the Tasmanian Government and the FIND Contemporary Jewellery Collective. It is very encouraging to see groups such as FIND working within the arts sector for the benefit of others and it is all the more significant when government can work in partnership with such groups to help extend support to artists and increase engagement within the community.